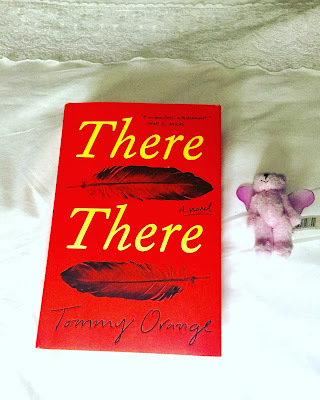 In Tommy Orange’s novel There There, there is an undercurrent of community, as well as an intricacy to the stories that give the sense of individualism. Of course, savvy readers will note the title's reference to Gertrude Stein's famous quote "there is not there there" pertaining to Oakland, California -- where the novel is set. Various chapters of the book focus on members of a community of urban native Americans. As each tell their story, the reader is drawn into a world where the struggles of a previous generation and the country as a whole, are greatly weaved into current lives. In one story, you come across a young man, whose mom is in jail, and who was born with fetal alcohol syndrome. The stories are braided. You start to understand that as you motor through the book. Each of the characters and their stories lead them on a journey to a pow wow (a social gathering of various Native American communities). Tommy Orange tempts his readers to take away something bigger and more purposeful from There There. Does where we come from and who our parents are define us? (We all know that it does.) But the more important question is, what do we take from a life lived and bring it forward? How do we come to terms with the past and find a renewed hope, which will inspire a new generation of a culture? If there is that kind of sentiment that still exists towards the Native Americans (and indigenous peoples generally), we have to do more. And in There There we have a great start. It’s probably not going to be read by those that actually need to read it, but it will shed a light on a community, and a people, that has been marginalized for so long. A community, whose children are still trying to recover from their ancestors transgressions, whether it be alcoholism, mental illness or a high level of unemployment. Tommy Orange strikes a great balance in There There. He deftly highlights the situation, with his characters, each of whom is compelling, and unique. This in turn provides insight, and encourages a conversation rather than a fissure. The dialogue and storytelling feels as much a cathartic experience for the characters as it is for the reader who begins to finally understand and maybe even feel.